When I'm at the grocery store or the farmers' market, I'm inundated with so many labels and certifications it makes my head swim. From "non-GMO" to "organic" to "pasture-raised" to "natural," I feel like I have to be a legal expert to suss out which ones are questionable—sometimes even fake—and which ones I can trust. How do you know what you're buying? And I hate to say it, but even at the farmers' markets you have to be careful of claims by farms that their products are "all-natural" or "no-spray" or even "local." In one case, Willamette Valley Cheese, which in previous years had won top honors from the American Cheese Society, had its dairy, Volbeda Farms, shut down by the state Department of Agriculture for more than 200 violations since 2007. Since it stopped using milk from its own cows, it is instead buying milk from a regional cooperative, Darigold, while claiming on its website that it is buying from a "local dairy." And showing pictures of cows on grassy pastures belies that fact that much of Darigold's milk is sourced from large factory farm dairies. 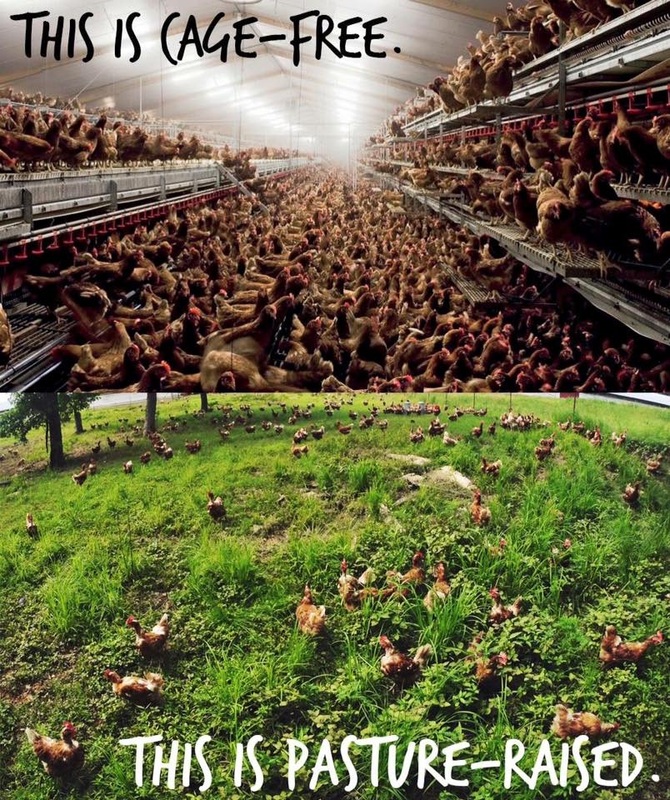 But help is here for people like me wanting to buy my meat, dairy and eggs from local farmers who raise their livestock outdoors, on pasture in a humane and ecologically sustainable manner. 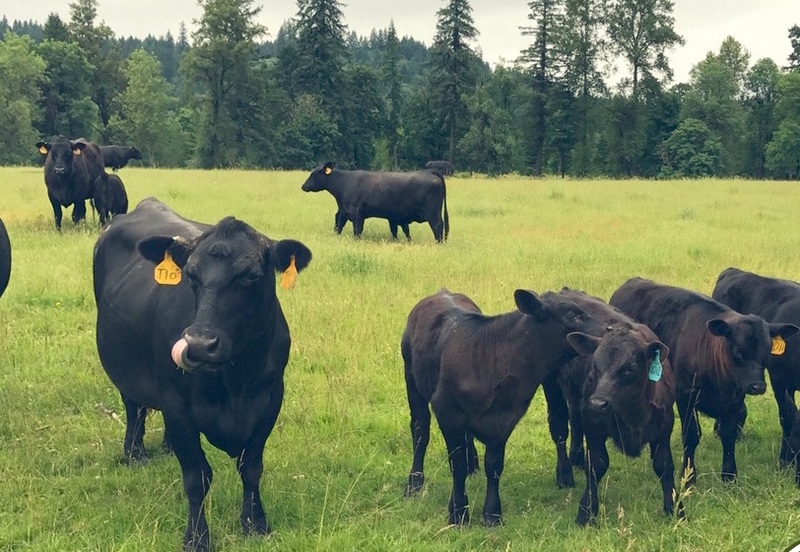 The Oregon Pasture Network Product Guide is a free statewide online guide for buying products from more than 60 Oregon farmers who are committed to agricultural practices that put a high value on family farms, animal welfare, public health, the planet and our local rural economies. 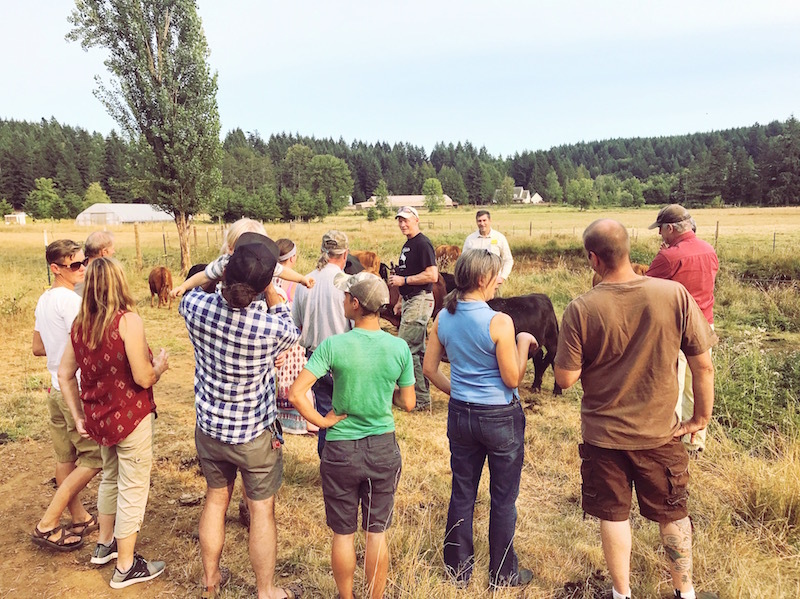 Organized by Friends of Family Farmers, the Oregon Pasture Network (OPN) requires producers to sign a Pasture Network Pledge, as well as go through an application process that includes a farm visit. 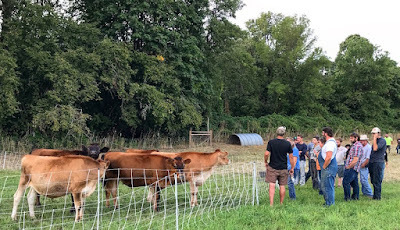 Farmers who sign the pledge agree to operate "on a scale that is appropriate to our land and to use practices that allow our animals to live a high-quality life on pasture [and] make operational decisions intended to foster the long-term viability of the land, air, and water of our local community." Farmers at a Potluck and Pasture Walk. Once a farm is accepted into the network—a no-fee process at this point—farmers are listed in the product guide with an accompanying farm profile, as well as being given access to classes that provide expert assistance to improve their pasture-based systems and deepen their understanding of the art and science of responsible grazing. 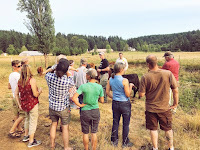 The OPN also provides a producer listserv where farmers can share tips and information, and the network launched a Potluck and Pasture Walk series this past summer, scheduled around Oregon so producers can share stories of what it's like to raise animals on pasture in their particular part of the state. 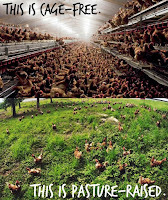 Pasture-Raised Poultry and Eggs featuring farmers Geoff Scott and John Mathia of Marion Acres Farm; Piper Davis, co-owner, and Laura Ohm, product director of Grand Central Bakery; Justin Ashby is meat monger for Flying Fish Company and owner of Tidal Boar Foods.Aug. 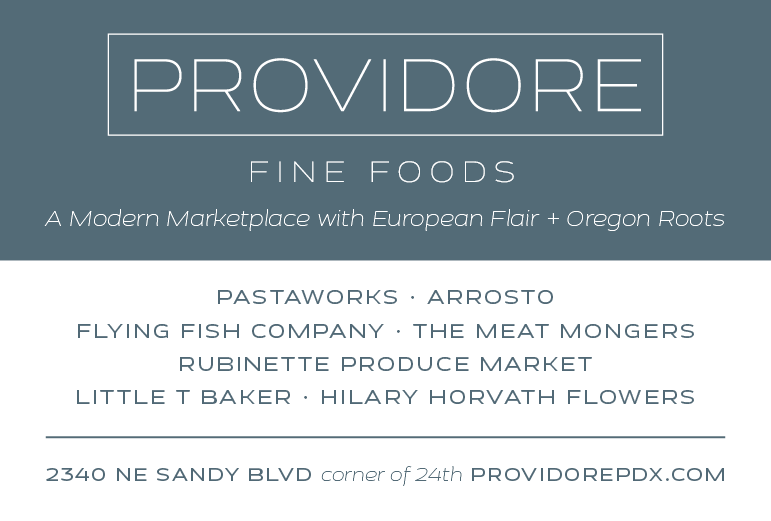 25, 6-9 pm, Lagunitas Community Room, 237 NE Broadway St., Suite 300. Pasture-Raised Pork, Oct. 9, 6-9 pm, Lagunitas Community Room, 237 NE Broadway St., Suite 300. 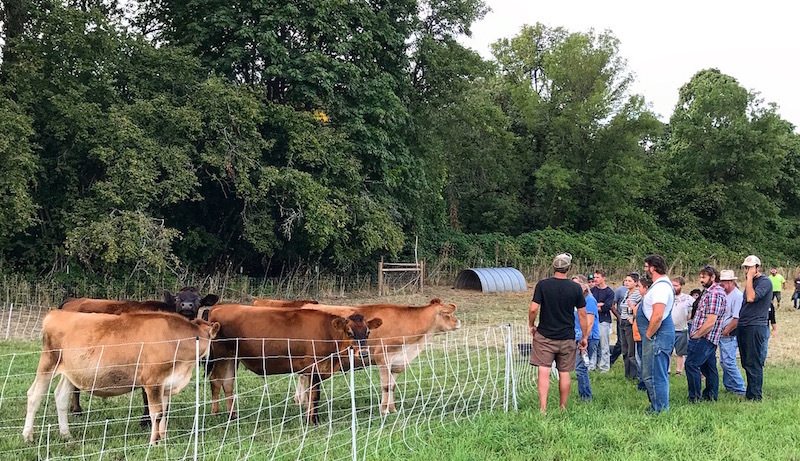 Pasture-Raised Dairy, Nov. 13, 6-9 pm, Lagunitas Community Room, 237 NE Broadway St., Suite 300. The date for the Pasture-Raised Diary session is 11/13. Same time and location. Thanks!